Captain Chris and the crew Sully, Esha, and the rest! were great. Very attentive and very helpful on the moving boat! Brought water and snacks and helped everyone move around. 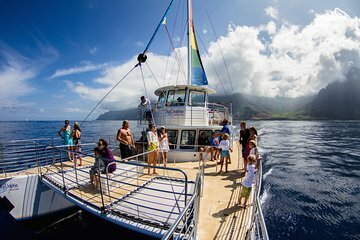 I thought it was great that they refunded some of the fee due to not being able to go to Niihau due to the ocean swell. We'll try again next time. The scuba diving was good, we saw loads of fish and even a green sea turtle just on the shelf where the water gets much deeper. It was a comfortable and easy dive in about 30-40 feet of water. Gear was easy and Esha was a great guide! 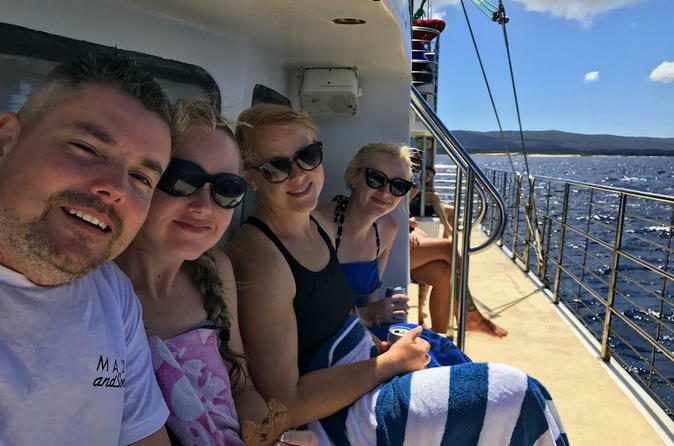 Apart from the stunning views and great snorkeling, the crew was phenomenal! They were all extremely knowledgeable about the island's history and wildlife as well as being very helpful. I highly recommend Blue Dolphin Charters.